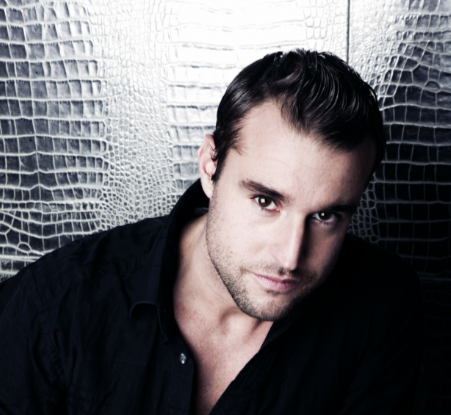 Philipp Patrick Plein is a German designer, who actually studied law at the Friedrich-Alexander University in Erlangen. Numerous travel and related visits to museums awoke in him an early interest in art, architecture and foreign cultures. Therefore in 1998, he began to design exclusive pieces of furniture for his family and friends and he moved on to fashion deisgn in 2004. His first shop he opened in the Munich disco Nobel P1. Plein has cooperated with Mattel and presented at the 50th Birthday of the Barbie doll called Philipp Plein-Barbie on 4 February 2009. In June 2010 a photoshoot with Mischa Barton was released and she became the new face of his couture collection. 1. How did you become a fashion designer? I was always interested in working with selected materials and designing furniture. I like to change a room through exclusive furniture as well as to change the look of people. My furniture as well as my fashion line should create a feeling for my customers and provide them with something unique and exceptional. I believe in the importance of details. I started my career in designing furniture for my family and friend. I am fascinated about leather and different, creative furniture materials. Because leather is quite expensive, I started to process it into accessories. From then on the idea of an accessory, couture and fetish line developed and I started to create a vision with my home collection and fashion line. 2. What is the downside of your job? What is the best part of it? Some people would say that missing a lot of free time is a downside of my job, because I am a 24 hours worker. In my opinion, my job is a gift. I am able to create something very personal and unique for my customers. I like to visit exhibitions, meet producers in order to be able to always improve the collections and get new inspirations in different countries through different people. I am a workaholic. Of course I have some stressful times during the year, but the fun part outweighs it. 3. How do you manage to run and design clothing, accessories, jewelry and furniture? I have a great base, a wonderful team that supports me and my dream. We are working together to steadily improve the company. Through the years I realized more and more how important it is to build and most of all keep a strong team behind a brand. 5. You have different lines in clothes - for example Fetish and Couture. Which is more popular and why? The lines have different characteristics. The Couture line is a ready-to-wear line. It is very feminine and grown-up. It consists of many couture dresses and is very elegant. The Fetish line is younger, more Rock’n’Roll and shows that PHILIPP PLEIN can offer on the hand pure elegance and on the other hand provocative features. 6. Do you wear your own clothing? What other brands do you like? Other brands are of course inspiring. I value good quality and unique style. The PHILIPP PLEIN fashion line represents of course my own taste. In my opinion it is strange when designers do not wear their own clothes. It is like you are creating a vision which is actually not really yours. Of course I welcome advices, but the word “idol” is a big word and not very touchable. I am not really this kind of person who is trying to set the footsteps in the paths of others. I am trying to build my own dream. 8. Name some celebrities who wear your designs. Naomi Cambpell, Mischa Barton, Pierre Sarkozy, Marcus Schenkenberg etc. 11. How many shops do you have now and where? Do you plan on opening one in Marbella? We have shops in Vienna, Kitzbühel, Monte Carlo, Saint Tropez, Cannes and Moscow. We will open our new monobrand store in Forte dei Marmi in April 2011. Concerning future plans, Marbella is the next stop! I want to steadily improve my company and create a global brand. In the same way, my ambition is that my beloved ones and I stay healthy while I am working on these goals. One day I will take a look at what I created in my life and I do not want to regret a single step I took. In the case I took a wrong step, I hope I stood up and fixed it in a better way. I really like his shop in the port, excellent designs!